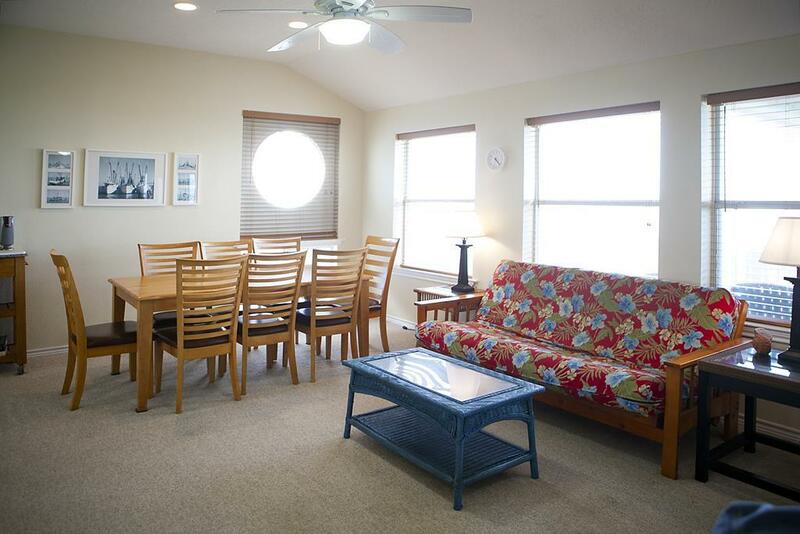 Large deck, open floor plan & more at this affordable beachfront escape! 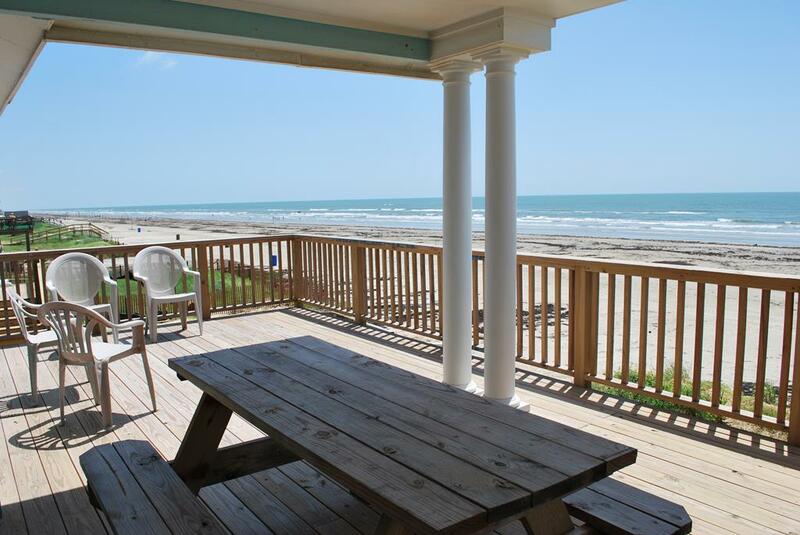 The spacious deck offers covered and open areas and plenty of deck furniture - relax and watch for dolphins frolicking in the Gulf! 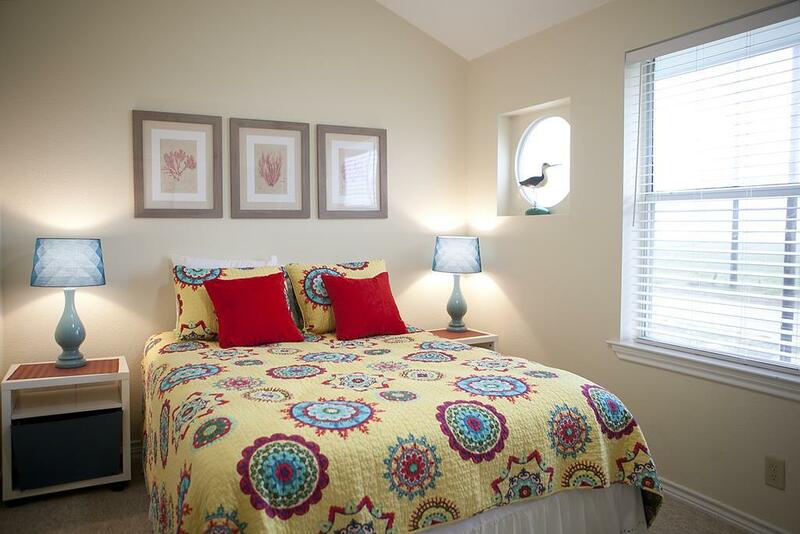 Perfect for small families, one queen bedroom has an en suite bath while the other queen bedroom opens up to the deck. 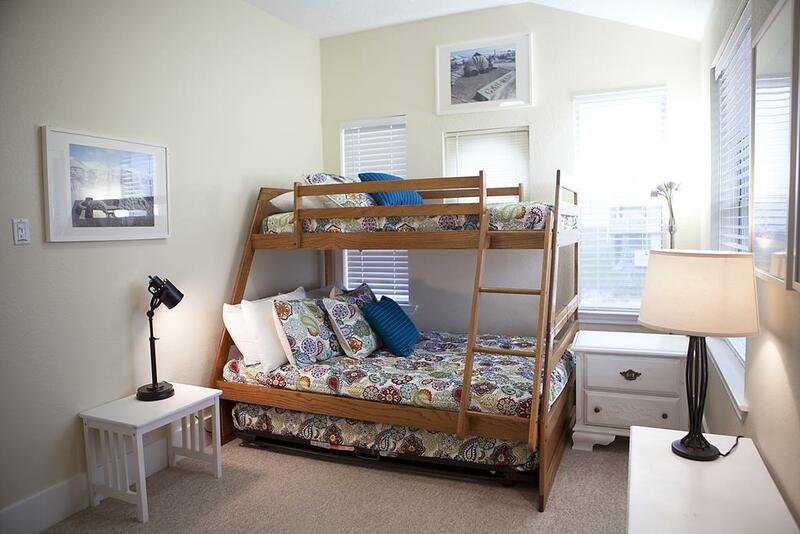 The bunk bedroom is perfect for kids or teens. 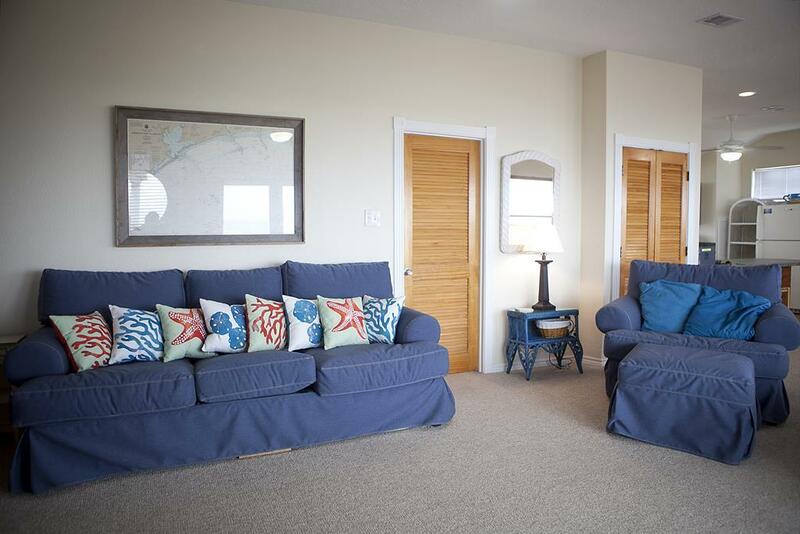 Multiple televisions, books and board games help pass the time, but no one is going to stay inside when the beach is just on the other side of the private dune walkover! perfect family vacation home for young kids. The tv in the BR with the bunk beds is in a corner of the room and you can’t see it very well from the bed. You have to lay at the opposite end of the bed to see the tv. The closer is locked and you can’t hang your clothes in that room. The sliding door would not open at all and we weee told the lock was broken and would be replaced. I guess it was not available to be replaced. We had to go in and out they the bedroom to get to the deck. The staff was somewhat helpful but I thought they should have offered something extra for the inconvenience. It rained the whole time we were there which was no ones fault but you got soaking wet each time you had to lock the door because the roof did not extend over that part of the house. So fun, perfect location. Right on the beach perfect family getaway with young kids too. Very nice house, good location. This house was beautiful! 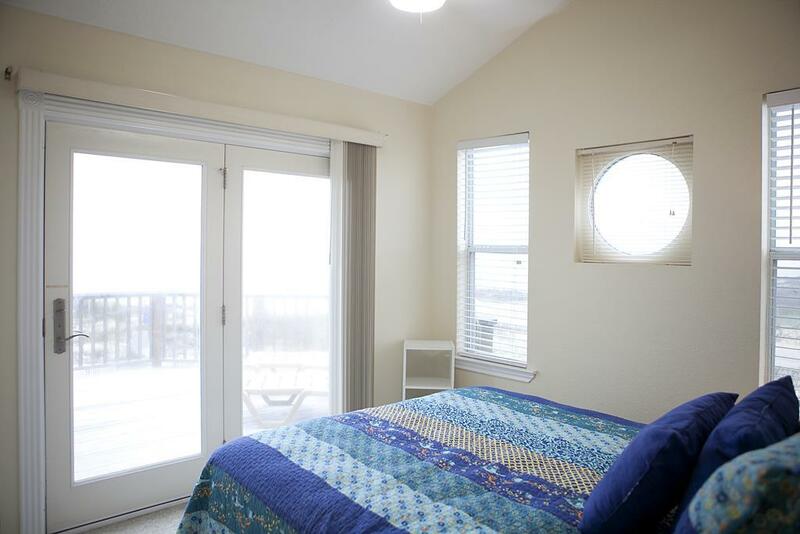 Loved all of the natural light and the view from the deck was exquisite! Excellent location on the beach. Amazing view of the Ocean! Definitely visiting again next year! It is a great house to have with kids. Has a gate at the top of the stairs and the door is heavy so it's hard for kids to open. The porch is fantastic and the view is stunning. Would definitely rent this house again! Covered porch so great to sit out on! 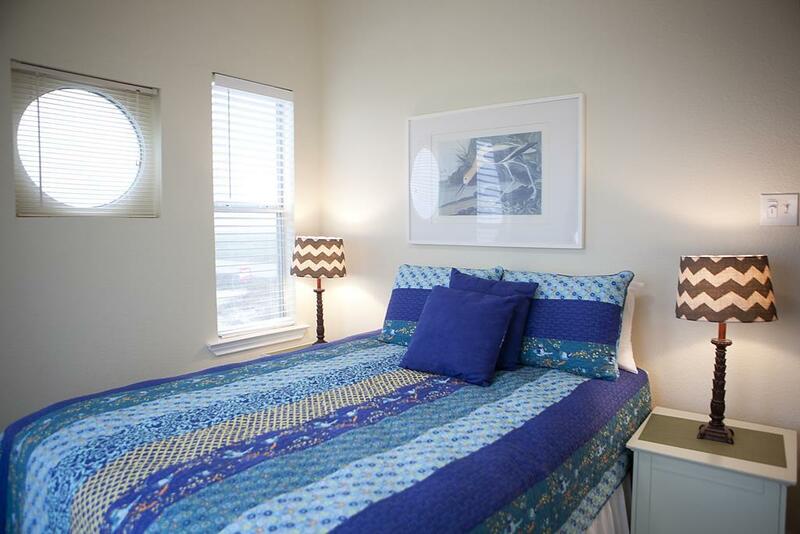 This place has an amazing beachfront view and is super clean and well maintained. 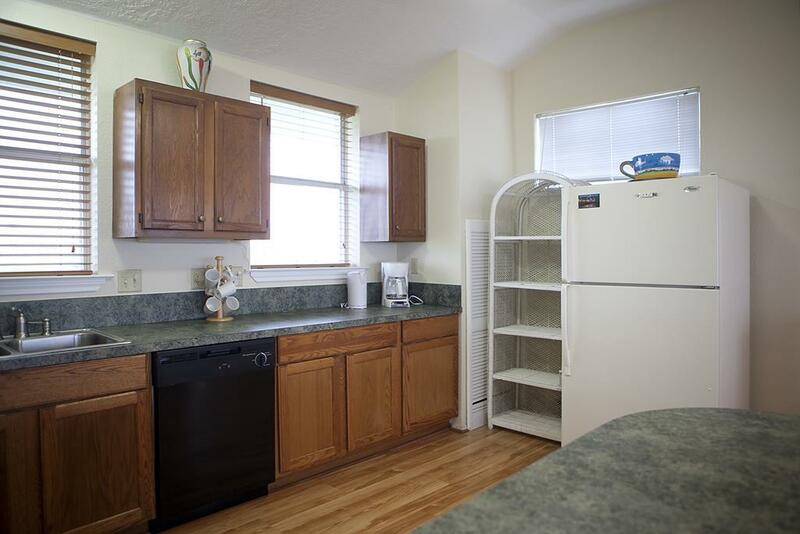 It had everything we needed for cooking, nice clean appliances and an excellent cold AC. The pictures really don't do it justice. When we first showed up, my wife and I just kept saying to each other how nice of a place it was. This was a family vacation with another couple, so there were 4 adults and 3 kids total, the place was plenty large enough that it never felt cramped. 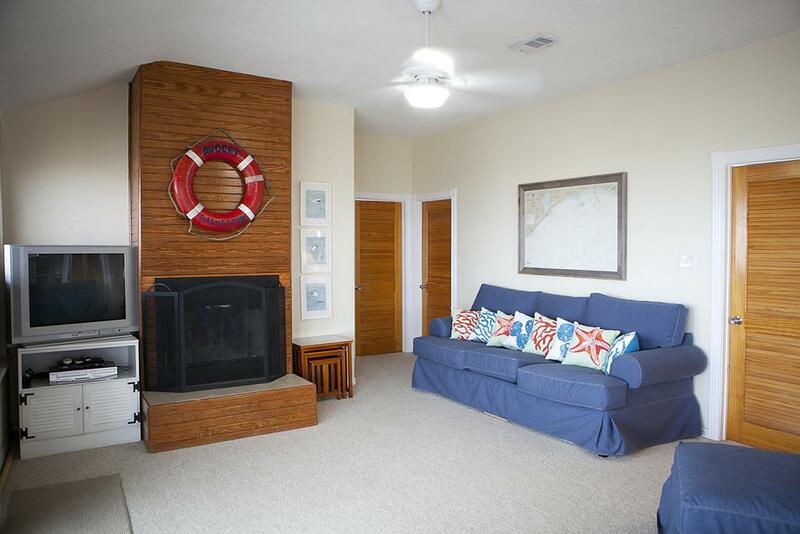 House also had lots of extras not mentioned in the listing, including some beach toys for the little ones, board games, movies a smart TV in the living room, a webber charcoal grill, and a well equipped kitchen with everything needed for cooking. We stayed 4 nights and had an absolute blast, the walk to the beach is literally about 50 yards or less so its easy to run back and fourth to the water all day. I just cant say enough nice things about this place, what a great relaxing vacation. We cant wait to go back. Great house. Very comfortable, large living area. Wonderful deck and view. Property worked out good for 3 couples with 3 children under 3 yrs old. Refrig worked great. 2 coffee makers. 4 TV's for the bedrooms and living room. A/C worked great. Washer and Dryer and BBQ in good shape. No problems. Great WiFi reception. This was a great property with nice rooms. It was right on the beach and next to public access. The public access was not a problem as it is a small area so there were never a lot of cars (and provided some people-watching). The AC on this house was super! Would definitely rent it again! Love that the house was right off the beach. Easy access. Great covered deck for sun shy people, with uncovered area also. Beautiful view and close to the water. Great lock up room downstairs for your fishing gear, etc. 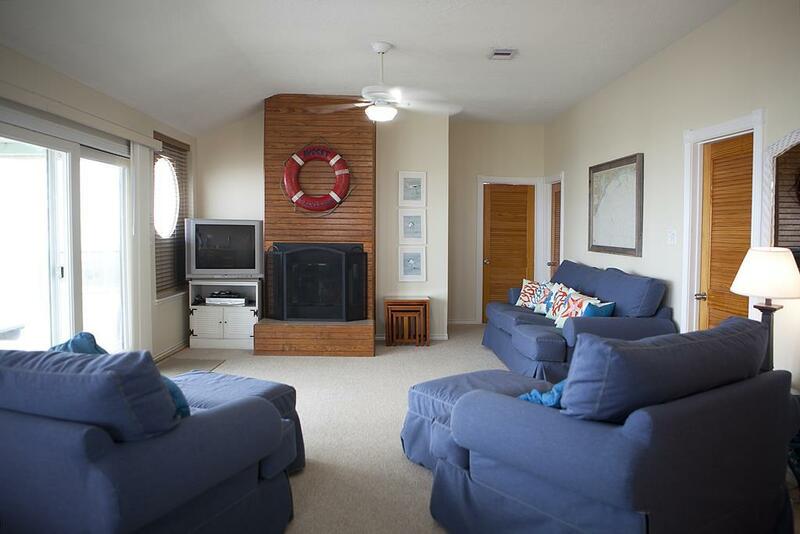 Very roomy and comfortable family room. The proximity to the beach is excellent. The deck is a good size and very child friendly with the latch on the gate. 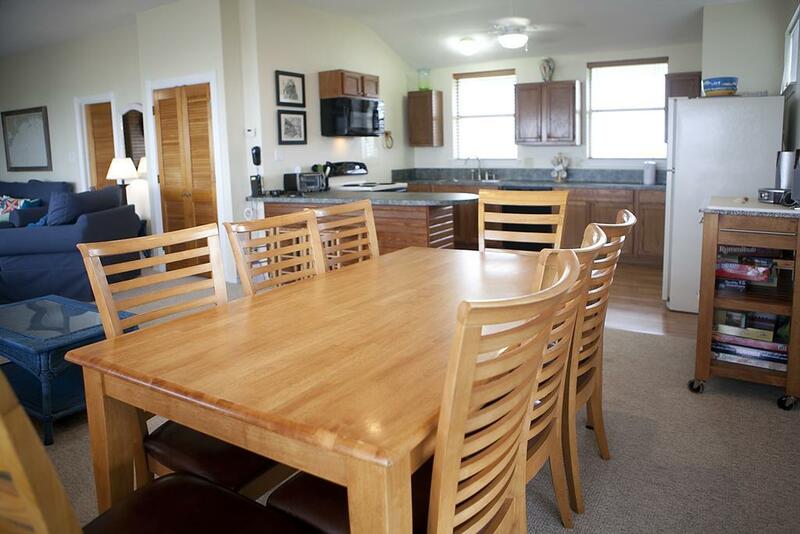 We loved the kitchen and open concept of the kitchen, dining area and living room. Very nice property. Great access to the beach. Would rent this property again. We all really enjoyed our stay at Avocet--we didn't want to leave! This was an excelent property to rent with small children. Door was too hard to poen for little ones and the deck has a gate. 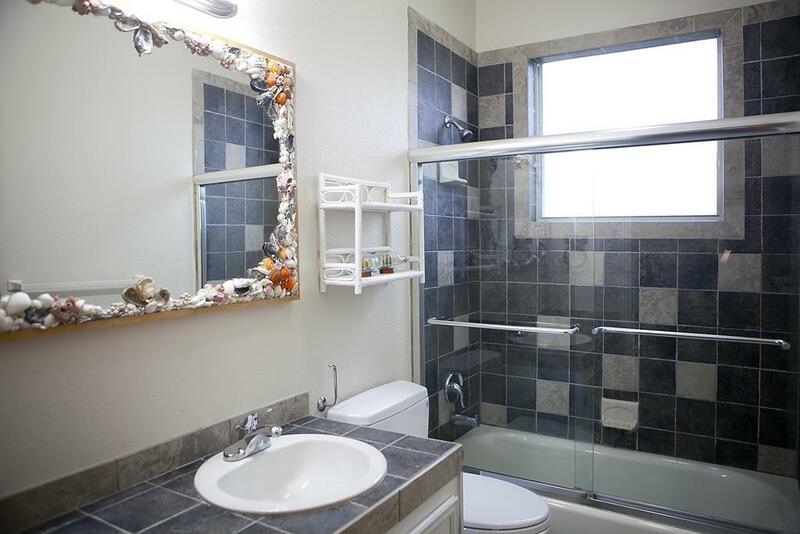 Right on the water, with connections to rinse off upstairs and down. It was perfect for our family. Towels and linens included. This property had a very good floor plan and use of space. Very nice ! The whole family had a great time here. Great house and fully equipped even with sand toys. 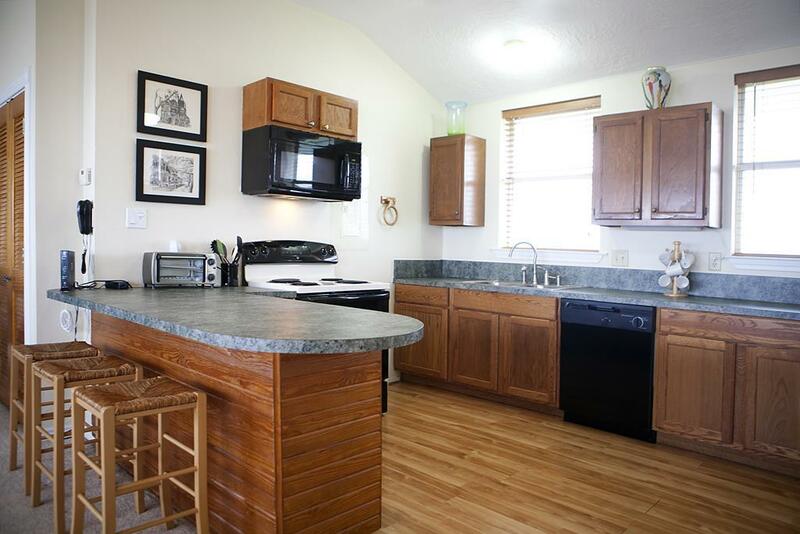 Plenty of space for cooking, sharing meals and laughter. Love the extra piece to the porch to watch the sun setting over the bay - that was an added bonus. We loved this house. 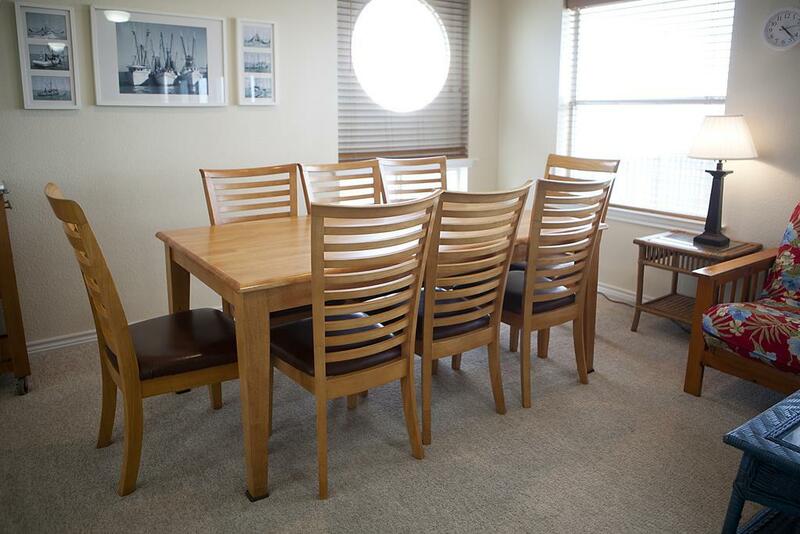 It was comfortable and spacious and perfect for our 8 guests. Would like to stay there again. A great and reasonable place to spend the weekend. 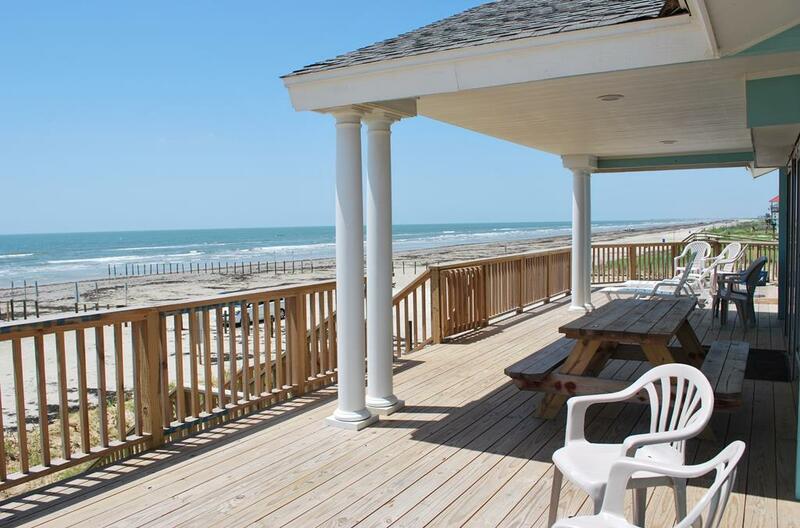 Avocet is a great house with fantastic deck overlooking the ocean. We are trying to start a family tradition of going to the beach each year with this our first. Avocet had everything we needed in a house and met the needs of all of us. Grandpa wanted a great deck to sit. The grandchildren needed easy access to the beach and my daughters wanted nice rooms and a washer and dryer. It was a bonus that the house had games for the children to play and with tv and dvd's in each room going to bed was so easy. With a grill being provided we never left the house for dinner. This house provided us with everything we needed for a fun filled week at the beach! We will be renting from Sand N Sea again next year and hopefully for years to come. Relaxing way to make memmories! Great location and access to beach. Good property for small family. We had a great time at Avocet! Perfect location! Beach house had some minor housekeeping problems but overlooking this it was anice place to stay. 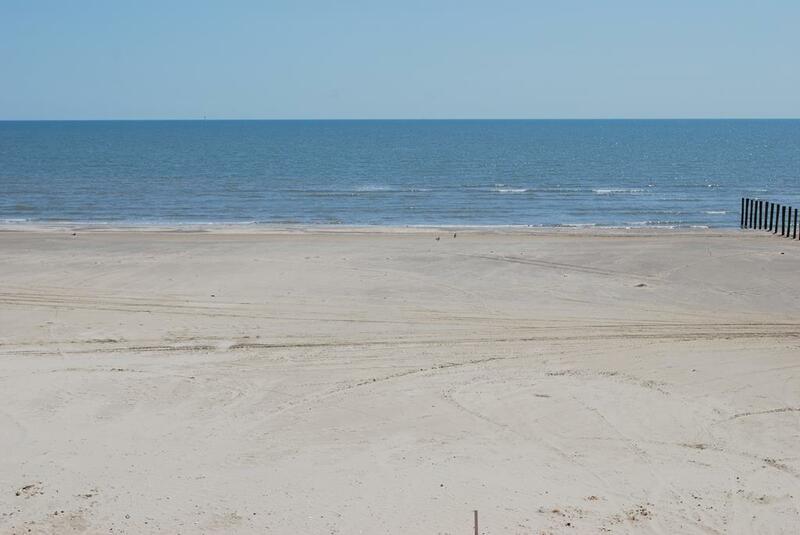 Very nice beach access with not a lot of beach foot traffic if that is what you are looking for. Even though we did not fish there were a lot of fish being caught by other fishermen. In general it was a nice place to stay. Our stay was wonderful! House is beautiful. I loved the covered porch & walkway & stairs to beach. Would choose this beach house again. The house was very clean. 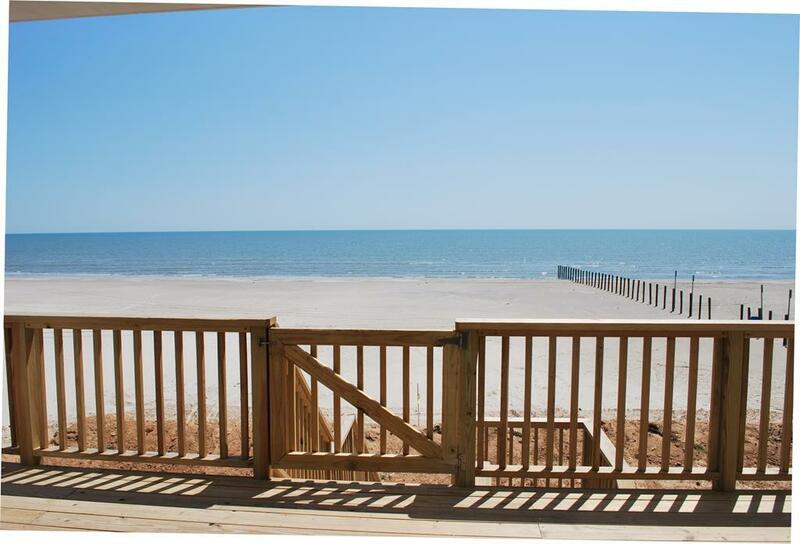 It has a nice deck and the location to the beach was perfect! The only negative is that the bedrooms, bathrooms and closets are small. LOVE, it all was excellent all you had to do walk outside and you where at the beach. Thank you it was a good week. We had a great week at Avocet! We loved being just a few steps away from the beach.